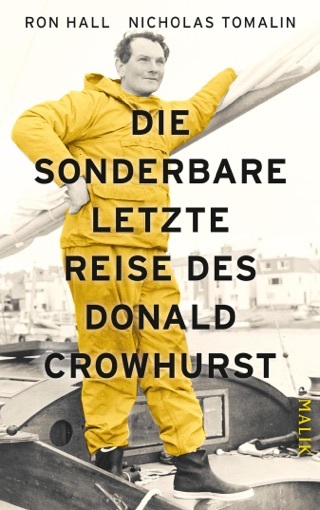 In early 1968, desperate entrepreneur Donald Crowhurst was trying to sell a nautical navigation device he had developed when he saw that the Sunday Times would be sponsoring the Golden Globe Race, the first ever solo, round-the-world sailing competition. An avid amateur sailor, Crowhurst sensed a marketing opportunity and shocked the world by entering the competition using an untested trimaran of his own design. Shock soon turned to amazement when he quickly took the lead, checking in by radio message from locations far ahead of his seasoned competitors. But on July 10, 1969, roughly eight months after he had sailed from England--and less than two weeks from his expected triumphant return--his wife was informed that his boat, the Teignmouth Electron, had been discovered drifting quietly, abandoned in the middle of the Atlantic Ocean. Crowhurst was missing, assumed drowned. How did he come to such an end when his race had begun with such incredible promise? In this masterpiece of investigative journalism, Nicholas Tomalin and Ron Hall reconstruct one of the greatest modern stories of one man's descent into self-delusion, public deception, and madness. 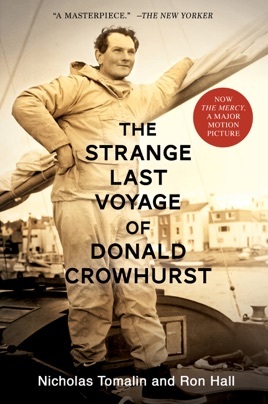 Based on in-depth interviews with Crowhurst's family and friends, combined with gripping excerpts from his logbooks that revealed (among other things) he had been falsifying his locations all along, Tomalin and Hall paint an unforgettable, haunting portrait of a complex, deeply troubled man and his final fateful journey. Whether or not you’ve seen “The Mercy,” this is a fascinating read, masterfully written and highly suspenseful.